The board of Aer Lingus has rejected Ryanair's proposed offer for the company following a board meeting this afternoon. Ryanair revealed this morning that it had bought a 16% stake in Aer Lingus since the airline's listing on the Dublin and London stock markets on Monday, and also announced its intention to make an all cash offer of €2.80 per share for the rest of the airline. Ryanair said this evening that it had increased its stake in the airline to 19.2% after buying another 16.5 million shares today. 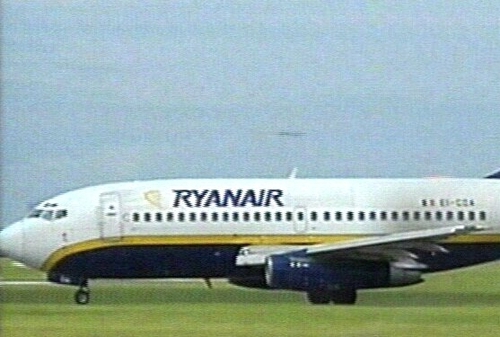 Chairman John Sharman described the Ryanair bid as 'unsolicited' and 'opportunistic', adding that it significantly undervalued the airline's business and growth potential. Mr Sharman also said the offer would raise significant competition issues because of Aer Lingus's strong position in its main markets. Aer Lingus 'strongly urged' shareholders to take no action. Speaking on RTE television, Ryanair chief executive Michael O'Leary described Aer Lingus's rejection as a 'remarkable statement'. He said the board was now saying that an offer of €2.80 a share undervalued a business it was prepared to sell at €2.20 a week ago. Mr O'Leary said there had been too much focus on the Irish aspect, adding that this was a European deal which would be determined by European competition authorities. Ryanair's offer values Aer Lingus at about €1.481 billion and is a premium of 27% over last week's flotation price of €2.20 per share. Ryanair said the offer would be financed from its own cash reserves of about €2 billion. Aer Lingus shares soared by 15% to close at €2.90 in Dublin this evening. Ryanair shares ended down three cent at €8.67. There was heavy trading in Aer Lingus shares, and sources suggested Ryanair may have increased its stake to around 20%. Ryanair says its offer is conditional on - among other things - obtaining at least a majority of Aer Lingus shares. A successful acquisition would mark the first time a European budget airline has secured trans-Atlantic routes. The Government said today that it would not sell its shares in Aer Lingus in response to Ryanair's bid for its rival. It currently holds 28.3% of the company. The Minister for Finance Brian Cowen and Transport Minister Martin Cullen have stated that the Government remains fully and firmly committed to competition in aviation markets. 'It will not sell its shares in Aer Lingus,' it said in a statement. Ryanair says the combined strength of both companies would establish an Irish airline group with over 50 million passengers annually, capable of competing on the European and World stage against other large European airline groups, including Lufthansa/SAS/Swiss, Air France/KLM and BA/Iberia. 'This offer represents a unique opportunity to form one strong airline group for Ireland and for European consumers,' commented Ryanair's CEO Michael O'Leary today. 'We will expand, enhance and upgrade the Aer Lingus operations. This offer - if successful - means both companies will continue to operate separately and compete vigorously in the small number of routes on which we both operate - currently around 17 of the approximately 500 routes operated by the two airlines,' he added. If the offer is successful, Ryanair said it intends to reduce Aer Lingus' average short haul fares by 2.5% a year for at least four years, reduce fuel surcharges at the airline, retain its Heathrow slots, retain all the airline's profitable routes, upgrade the airline's transatlantic fleet and improve its long haul routes. It also said it would retain the Aer Lingus brand and reduce the airline's costs through improved efficiencies and its 'superior buying power'. Ryanair said that investing in Aer Lingus is attractive for it because, among other things, the carrier's earnings yield is superior to the returns currently available on Ryanair's cash deposits. 'Ryanair believes there will be opportunities to reduce operating costs, to increase efficiencies and to pass on these savings in the form of of low fares to the travelling public,' the airline said this morning. The secretary general at the Department of Transport has told the Public Accounts Committee that the Ryanair bid for Aer Lingus shares will have to go before the EU competition authority. Julie O'Neill said it was likely that the case would go to EU level before national level, but that it would first go before the Aer Lingus board. A spokesperson for the European Commission has said that any proposed merger of Ryanair and Aer Lingus would be examined to establish its effect on consumers and on competition in the marketplace. Speaking on behalf of Commissioner Neellie Croes, Jonathan Todd said that it was up to Ryanair to decide which authority it needed to notify, and that depended on where the turnover of the two businesses was located. As of now the Competition Commissioner has received no such notification.